Mother Teresa was a nun from Albania with Indian citizenship. She worked with the poor and helpless in the streets of Calcutta, and won the Nobel Peace Prize in 1979. Can one of you be an echo for another learner? One “shout”, the other make the echo. When was the last time someone said something nice to you? What was it? 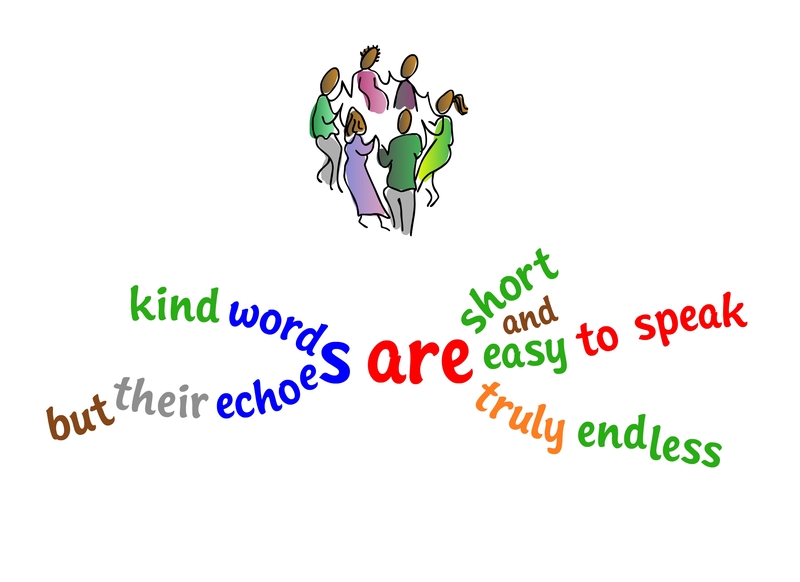 When was the last time you said something nice to someone? Go on! Say something nice to your partner. And all the other learners. And don’t forget your poor, overworked teacher! What does “echoes” mean here? Thanks Johanna, I’ll make a little spelling plant for you. Any words you’d like? You are currently reading Kind words at language garden.